Lush, green lawns are not just a pretty feature in a perfectly manicured garden. There are several industries that rely on flawless greens as a core part of their functionality – sport and recreation fields, parks and golf courses are just a few. Maintaining a perfect lawn, however, can be a complex task, and often requires expert knowledge and skills, as well as a range of specialised machinery and tools. Aqualine is invaluable as a part of one of the most important aspects of lawn maintenance: good irrigation. What makes lawn so difficult to irrigate? Your average grass lawn’s roots go no deeper than 20cm. This means all of its moisture and nutrients must be made available within that top 20cm. To make this possible, water and nutrients have to be applied in correct doses, within strict time perimeters, to avoid wilting caused by the depletion of soil moisture. How is soil moisture lost? Evaporation – water left on the surface of the grass after irrigation evaporates. Transpiration – moisture within the blades of grass transpires naturally during growth. Natural Drainage – excess water drains through the soil until it is no longer close enough to the surface to be accessed by the grass’s roots. Water loss by natural drainage can be reduced by avoiding overwatering, but must be taken into account when calculating irrigation intervals. The combination of evaporation and transpiration, known as evapotranspiration, contributes to determining the volume of water required for irrigation. Irrigation scheduling provides a framework for replacing soil moisture losses within a practical period of time to avoid wilting and browning of grass lawns. There are several factors that must be taken into account when setting up an irrigation schedule, most of which revolve around calculating moisture loss. Soil moisture losses through evapotranspiration can be measured using various methods. The most common is the combination of a Class A Evaporation Pan, and a Soil Tensiometer. Class A Evaporation Pan: These pans hold an open body of water, and are calibrated with a depth scale in millimetres. As evaporation occurs from the surface, the water level in the pan drops, showing exactly how much moisture has been lost. Soil Tensiometer: These tools measure the water being absorbed by the plant itself. They are placed in the soil, in and below the root system, and measure the negative pressure that is created where roots interact with water trapped between soil particles. Moisture sensors can also be used to provide electronic readings of soil moisture levels. The ratio between water evaporation (measured by the class A evaporation pan) and water absorption by the plant (measured by the tensiometer) is known as the Crop Factor. Crop factors vary between crops and during stages of growth. In the case of short grass, the crop factor is usually in the region of 50%. This means that if the total loss, after four days, from a class A pan is 40mm, then moisture levels within the soil will have been depleted by 20mm, or 50%. Once the crop factor has been established, it is far simpler to calculate the ideal volume and frequency of irrigation needed for optimal growth. Both under- and over-watering can be avoided, saving time and money. The soil within the root zone of the grass (from the surface to a maximum of 20cm deep) is the only medium through which moisture and nutrients can be absorbed. The amount of water held will depend on the texture of the soil, and this will be a determining factor in calculating the frequency of irrigation, or irrigation interval. The amount of water retained within the root zone, after free drainage, is known as field capacity. In a sandy soil, this could be as little as 15mm, while clay soil could retain as much as 25mm. Because of its decreased ability to retain moisture, grass planted in sandy soil will suffer from wilting noticeably earlier than grass planted in a clay soil. In general, it’s advisable to commence the irrigation cycle when soil moisture levels are at about 50% of their field capacity. For sandy soil this would likely be every second day, while every third day could be sufficient for soil with a higher clay content. The most common method of irrigating short grass is overhead irrigation. Overhead refers to the use of impact sprinklers, such as buried, pop-up sprinklers or self-propelled, linear move sprinklers, with similar operating pressures of around three bar. A well-designed and managed sprinkler irrigation system should have a water efficiency of 85%. It is advisable to engage the services of an irrigation technician in order to avoid dry patches on the lawn and additional expenses. Q: What is my application rate in mm/h if I have 4mm nozzles spaced at 18 x 12m? Q: What is my application rate in mm/h if I have 4.8mm nozzles spaced at 12 x 12m? Q: How many m³ of water do I need to apply 40mm to 12ha of lawn? Q: What flow rate do I need in the above case if my irrigation cycle is 4 days and I can pump 24h/day? Q: How efficient is my overhead irrigation system? A: More water is lost to sun and wind at low application rates. The application rate should be equal to the maximum infiltration rate of the soil type for efficiencies of up to 90%. An ideal way in which to save water that might otherwise have been wasted is to store it in an aquifer underground. In this way it can be withdrawn when needed. There are many ways in which water can be returned underground. Historically, groundwater recharge has occurred primarily from the percolation of surface water from rivers and their tributaries. As rivers begin to meander over level ground, water is constantly seeping through the riverbed into the ground. Over time, however, the riverbed can become less permeable as silt deposits increase. At this stage it is possible to divert the river to clear the silt allowing for better penetration. Different land uses also have an impact on the recharge of the aquifer. When a crop such as sugar cane or timber is planted, the runoff to rivers and streams will decrease as will the rate of ground water recharge. The development of an urban area can increase the runoff which results in less groundwater recharge. Long-term, large-scale pumping without subsequent replacement of groundwater can result in fissures and land subsidence. This results in damage to roads, railroads, pipelines, houses, dams, etc. While these are all noticeable problems that can be dealt with, the most serious and often over-looked problem of subsidence is the permanent loss of an aquifer’s storage capacity. Artificial recharge describes the method of storing high quality surface water in aquifers or geological formations that can receive additional water. In this way the level of groundwater is augmented and valuable water is not lost to stream flows or evaporation. With Aquifer Storage Recharge (ASR), water is actually directed into and stored in the ground. This is done by injecting water into the most permeable parts of the aquifer. The result is that the water is fed underground at far greater rates than would occur under natural conditions. Aquifer Storage Recovery (ASR) involves collecting water (stormwater, snow melt, etc.) at a time when it is abundant and then transferring it into naturally occurring underground spaces (aquifers) that consist of porous or fractured sediments of rock. The water is stored below ground and is recovered as needed. Most ASR systems provide seasonal water storage, storing water during the wet season and recovering it later during extended droughts. Increasingly many water managers are constructing ASR systems to ensure reliability during emergencies, whether severe floods, earthquakes, contamination incidents (see Groundwater Contamination below), pipeline breaks, or potential damage due to warfare or sabotage. Issues to consider are that the water resource must be abundant, plus there has to be a system for collecting it. The aquifer must be able to receive and deliver water at rates that are consistent with the projected use. Natural water quality in the storage zone ranges from fresh, suitable for drinking without treatment, to brackish, including total dissolved solids. Most sites have one or more natural water quality constituents that are unsuitable for direct potable use except following treatment. Such constituents may include elements which are typically displaced by the stored water as the bubble is formed underground. ASR provides a cost-effective solution to many of the world’s water management needs, storing water during times of floods or when water quality is good, and recovering it later during times of drought or when water quality from the source may be poor. By storing water in underground aquifers, one reduces or eliminates the need to construct large and expensive surface reservoirs. Due to long term over pumping of groundwater, levels can now be restored as water is recharged. The main driving force behind the current rapid implementation of ASR technology around the world is water supply economics. ASR systems can usually meet water management needs at less than half the capital cost of other water supply alternatives. It is also important to note that by reducing or eliminating the need for construction of dams, and by providing reliable water supplies through diversions of flood flows instead of low flows, ASR systems are usually considered to be environmentally friendly. Water is stored deep underground in water-bearing geologic formations, or “Aquifers” that may be in sand, clayey sand, sandstone, gravel, limestone, dolomite, glacial drift, basalt and other types of geologic settings. Most operating ASR sites are storing treated drinking water. When recovered from storage, this water usually requires only disinfection before being sent out to the water distribution system. Treated wastewater is reclaimed and piped to golf courses, parks, gardens and other areas requiring irrigation to reduce the demand for potable water. When rains begin and irrigation demand ceases, reclaimed water is stored in ASR wells in deep brackish aquifers, from which it is recovered when needed to meet irrigation demand during dry periods. Several sites are storing untreated groundwater pumped from overlying or underlying aquifers, or from wellfields located at great distances from the ASR site. When needed, this water is recovered from the storage zone and combined with whatever flows are then available from the primary water sources, to help meet peak or emergency water demands. Groundwater is increasingly viewed as a desirable application of ASR technology. The newest ASR application is for storage of partially treated surface water. Stored water is recovered to help meet peak demands for supplemental untreated water, whether for urban needs, ecosystem protection, low streamflow maintenance, agricultural irrigation, industrial water requirements, power plant cooling make-up water, or other needs. Many developing regions suffer from either chronic shortages of freshwater or the readily accessible water resources are heavily polluted. According to the World Health Organisation (WHO), a large portion of the population in developing countries live in rural and suburban areas where conventionally treated drinking water is generally unavailable (WHO, 1993). Accelerated population growth coupled with impoverished socioeconomic development with limited water resources and poor sanitation, leads to an increase in diseases associated with poor living conditions among which water-related and water-borne diseases play a major role. Many of the rural communities around the world get their drinking water supply from groundwater sources. The water is drawn from the boreholes and distributed to the community without any prior treatment. People from these rural communities often complain that the water tastes brackish which is normally an indication of poor quality, especially of high salinity. Groundwater supplies have some advantages over surface water. Groundwater is generally of a more uniform character and relatively free from harmful bacteria. Groundwater can be contaminated as a result of poor solid, liquid and sanitary waste practices. Defective well construction and failure to seal abandoned wells as well as poor groundwater production management are also responsible for pollution. Contaminated groundwater can still appear clean and yet contain pathogenic organisms; visual evaluation should therefore be avoided. Bacteria in the liquid effluents from the septic tanks and cesspools, to name a few, are likely to contaminate shallow groundwater aquifers if poorly constructed or located with respect to the production borehole. Furthermore, the presence of a shallow or perched aquifer increases the risk of contamination. Over the past several decades, excessive pumping has triggered saltwater intrusion, which can threaten that region’s water supplies. As groundwater becomes depleted in the coastal regions, the ocean salt water tends to intrude into the freshwater supplies. This threatens the water for drinking or irrigation as the aquifer becomes contaminated. Freshwater, being less dense than seawater, tends to “float” on the saltwater. The Ghyben-Herzberg relationship states that the freshwater zone should extend to a depth below the sea level equal to 40 times the height of the water table above sea level. As freshwater heads are lowered through well production, the saltwater migrates towards the point of withdrawal. This movement of water into zones previously containing freshwater is known as saltwater encroachment. The result is that wells might have to be drilled deeper in the hope that the water available in a lower aquifer has not also been affected. However, where supply wells are drilled too deeply or are pumped at too large a rate, upconing of the salty water may occur. It is common practice to inject fresh water into the ground to form a “barrier” or “curtain”. This barrier prevents salt water entering the aquifer by providing a hydraulic barrier to sea water intrusion and permitting the groundwater basin to be safely drawn down below sea level. Some of the water that is pumped into this barrier will dissipate into the ocean, while the majority flows back into the groundwater basin thereby augmenting the groundwater supply. Under these conditions steel pipes are subject to corrosion and can be difficult to manoeuvre. Even stainless steel pipes are subject to corrosion and internal scaling. The result is that the pumps would have to run for longer periods of time to ensure the same quantity of groundwater is being removed from the offending aquifer. Because of its construction and the sophisticated use of modern materials, Boreline is not subject to these effects and can be used continually over many years without any form of degradation. Clean potable water is essential to life, yet so many of the world’s population do not have access to it. Problems faced by developers are very similar, namely the lack of large sources of unpolluted or salt-free raw water and the lack of funds. Dams and pipelines are a tangible indication of money spent while there is a false perception that it is difficult to quantify volumes of groundwater available in most aquifers. This creates uncertainty and results in less spending and this potentially large supply remaining un-tapped. Traditionally, steel pipes have been used with submersible pumps to transfer water from the depths of an aquifer to the surface. The water is then used for domestic, agriculture or other uses. There have been many problems associated with these heavy, bulky rigid pipes, but users such as, Water Utilities, Mines, Farmers and others have had no choice but to remain with these products. Problems faced would begin with transporting the pipes to site as large trucks would be required. Installing the pump and pipe would be another time consuming exercise as a large crane with lifting gear are needed to lower the pump and pipe into the well or borehole. Pump removal for repair or servicing is just as frustrating. Boreline, is a Flexible Rising Main designed to solve many the problems associated with rigid systems. Because of its inherent characteristics, Boreline rolls up flat thereby making it light and compact and very easy to transport. A small pick-up truck or LDV can be used to transport the Boreline to site, immediately reducing the extra costs associated with a larger vehicle. Once on site, the Boreline is unrolled and attached to the pump using the available Boreline couplings. These are available in 316 Stainless Steel (SS 316) or Bronze. The power cable is attached to the hose along the entire length using the available cable straps. The pump is lifted and lowered into the well. The other end of the Boreline is placed over a simple rolling wheel and attached to the pick-up. The vehicle is then used to lower the Boreline into the well in minutes, using only a couple of assistants. Boreline has been designed with superior strengths in mind. The result is that the hose itself can support the pump, pipe and water up to a depth of 660ft (200m). No support ropes or cables are required. Using Boreline results in immediate cost savings in time and money. Boreline also does not corrode or scale internally. The figures for water flow and head losses calculated originally during the design phase are the same figures one gets after years of pumping. Because of its flexibility, the internal scaling which plagues the rigid systems, causing costs of pumping to increase, does not affect the Boreline. Removing the pumps for servicing is just as simple, resulting in labour cost savings. To establish the safe yield of the borehole. (This refers to the yield at which the borehole can safely be pumped). To determine the safe yield duty period that the borehole can be operated for indefinitely, without endangering the aquifer. To determine the quality of the groundwater in relation to its intended use, the performance characteristics of the borehole and the hydraulic parameters of the aquifer. How long should the test-pumping take? The length of the pumping test is directly proportioned to the duty period that the borehole is to be pumped at once the permanent pump has been installed. For instance, a borehole supplying domestic water to a house will have a shorter duty period than an irrigation borehole. As a result, the type and length of the test pumping performed on a domestic borehole will be shorter than the test on an irrigation borehole. The test contractor should issue the customer with a certificate upon which the date, depth at which the test pump was installed, static water level, pumping rate at the end of the test and water colour is recorded. It is normal to undertake a six hour test and then install a pump with a capacity of around 50-60% of the flow at the end of the test. This 40-50% safety margin is sufficient in most cases, but not always. The end user should always consult the pump installer as to exactly what type of test is the best for his needs. Greater sophistication and longer water yield tests will cost more. In many cases the extra initial cost can save a great deal of money in the long run. Unless absolutely necessary, never pump the borehole at its full capacity. Farmers, recreational clubs or commercial or industrial concerns will usually require a higher duty period, and as a result, a longer test. Occasionally the test, for example per 100% duty period, should continue for weeks and even months. Boreholes to be subjected to a duty period of up to 10 hours per day should be tested for at least 24 hours. Water levels should be recorded at specific time intervals in the pumping borehole, together with the pump discharge for the duration of the test. Water levels (draw-down) should be recorded from the start of the test until the pump is stopped. The recovery of the water level in the borehole should then be recorded until the borehole has recovered to within 10% of the initial static water level. Boreholes that are to be used every day and must supply a dependable daily water supply, for instance municipal, industrial or irrigation holes, should be test-pumped for longer periods of time. The test pumping should consist of a step draw-down test and a recovery test. This should be followed by a constant discharge test of at least 48 hours and a recovery measurement to within 5% of the original static water level. Should two boreholes be situated close together, it is advisable to record the level in the borehole not being pumped (observation hole) while pumping the other hole. 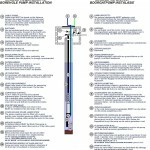 Should the borehole exhibit interference, the water level in the observation hole will decline. This means that the boreholes are hydraulically connected and pumping from one hole affect the other. Consequently, if the two boreholes are to be pumped simultaneously they will have to be pumped at a rate lower than the tested rate to allow for the interference. Towards the end of the pumping test a groundwater sample should be taken to determine the quality of the groundwater in terms of its intended use. The depth of the fracture, along with the safe yield of the borehole and the pressure required by the end user, are the three most important factors that the installer will have to consider on choosing the correct pump for the customer’s needs. Yield tests are numerous and continuous and require the frequent installation and removal of pumps and pipes. With Boreline, this process takes no more than a couple of minutes. Contractors that have used Boreline agree that the ease and speed of working with this product makes financial sense. The long-life expectancy of Boreline also ensures years of hassle-free service. A much asked questions is whether or not a borehole will always continue to have the same yield. The answer to this is “No”. The water yield can vary depending on the time of the year, the number of new boreholes in the vicinity, the yearly changes in the annual rainfall and the local detrimental effects of increased transpiration as a result of the planting of large numbers of trees. It is for these reasons that wide safety margins are allowed when installing the correct pumping system. Therefore, unless the borehole very obviously yields far more than the end-user needs and the water has also come clear during the flushing process, always insist on having the safe water yield determined for your borehole. An estimate of the water yield by the driller is not sufficient and can be inaccurate. If you are lucky enough to have a borehole that yields plenty of water, do not pump more than you need. Groundwater is a very precious resource and should not be wasted. Existing pump technologies are being applied in innovative new ways in an attempt to dramatically reduce the long and short term costs of dewatering mines. The pump industry has been experiencing an increase in the demand for dewatering pump technologies, as low commodity prices have convinced mining houses to exploit the reserves of marginal mines. A large number of existing mines are being refurbished, and the dewatering of these mines is playing an integral part in the reconstruction process of those marginal mining activities. Submersible turbine pumps have emerged as a viable, cost-effective alternative to a dewatering application. Traditionally, pumping stations were built underground near flooded areas of the mine. These required flameproof motors that were flooded every time there was a heavy rainfall. The identification of heavy-duty submersible pumps to dewater mines as an alternative to the former pumping stations, has become a reality and is a viable option for mining houses. These submersible dewatering pumping systems are easy to install and are considerably more cost-effective as the need to build pumping stations underground is totally eliminated. As the pumps are submerged, there is no requirement for a flameproof system resulting in further cost savings. This system also provides access to areas that were previously inaccessible and which can now be mined as soon as all the water has been pumped out. Used in conjunction with Boreline, this system is further enhanced by eliminating the need to transport and install cumbersome steel pipe. Boreline is available in continuous lengths and rolls flat. The result is that a 200m (660ft) length can simply be transported in the back of a pick-up truck. The quality of mine water varies considerably between mines, however, due to the aggressive properties of the water and extreme pH levels, pumps and pipes need to be constructed of corrosive resistant materials. Boreline is ideal in these situations as the product is corrosion resistant even at extreme pH levels. Users benefit when dewatering with submersible pumps and Boreline as this eliminates the need for construction teams to build pumping stations at every dewatering point. Boreline also results in less maintenance costs over the life of the product, less heavy equipment to install and retrieve and a lower stockholding of pumps and pipes for the mines. Due to the easy transportability of this dewatering system, mines have responded by utilising emergency stand-by rigs that can be deployed to an area for immediate pumping. Response time is greatly reduced as any length can be installed within minutes. As pressure continues to increase on input costs and efficiencies, mines are open to innovative ideas and technologies that will keep these operating costs under control in the long term. Boreline – you know it makes sense. As the world’s population increases, so does the demand for energy. Using conventional methods to generate energy means the continuous use fossil fuel reserves resulting in increased emissions of greenhouse gasses, which result in further damage to the environment. 350ft of 2″ Boreline can be easily installed by villagers. Note the solar panels and storage tank. Renewable Energy is the energy use of sun, wind and running water to generate this much-needed energy. This energy can be used to generate light or heat used for domestic or commercial reasons but can also be used to drive a submersible pump which can deliver water. Windmills were originally very popular where water was needed and power was not available, and were a solution to renewable energy. When compared to solar pumping, windmills are however more difficult and expensive to install due to their bulky nature. Over their lifetime they need constant maintenance which result in higher lifetime costs. 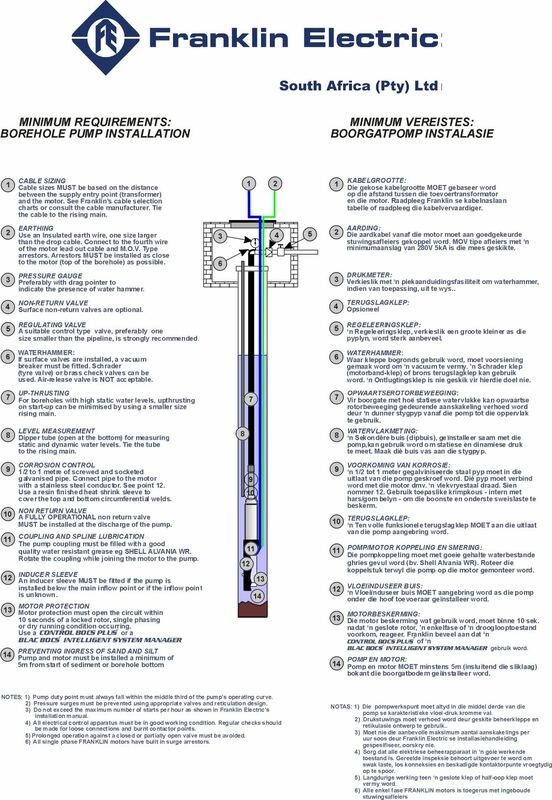 An advantage of using Boreline is its long-term maintenance-free capabilities which are aligned with those of solar pumping. Boreline rolls flat which makes it easy to handle and transport to the remote sites so ideal for solar pumping. Once operational, the product can be left as long as the pump is functional. No corrosion or internal scaling occurs and when the pump has to be removed for servicing, this is a very simple operation. The table below can give an indication of the long term and short term benefits associated with solar pumping and the use of Boreline. The factors mentioned are a general explanation and are dependent on many different issues. Potable water approved Yes ? ? When water quality is very aggressive the result is a rapid deterioration in the quality of flexible riser used. This reason can be a low pH value, aggressive carbonic acid or electrically conducting salts. Boreline is ideal for working in these conditions. TPU (Thermo-Plastic Polyurethane), the material that encapsulates the entire hose, has exceptional strength and durability and is ideal in aggressive water conditions. Risers made of base metals, whether galvanised or coated will be subject to this corrosive action. Stainless steel risers will be slightly less susceptible to these minerals however are still subject to internal scaling. The rigid riser has to be removed to flush and clean the inside for a better flow. Water with a high iron content can also create internal build-up inside the flexible riser very quickly and cause severe blockages. The only way to remove this would be to remove the flexible riser and flush or scrape the internal surface. Water in nature is continuously moving, even though in some cases it may move very slowly over millions of years, trapped in rocks deep below the earth’s surface. Not only is water continuously moving, it is also continuously changing its state between a liquid, a gas and a solid. This continual movement and changing of water is known as the water cycle and is illustrated in the diagram below. The water cycle is indivisible and all parts of it are inter-related. Water is (generally speaking) neither made nor destroyed. Different parts of the cycle influence each other: rainfall affects the amount of water which is available to plants; the amount of water which plants use affects how much water seeps deep into the ground to form ground water; when ground water is pumped out of the ground, the level of underground water, or the “water table” level, is affected; water table levels have an important influence on river flows. Human activities also have an impact on the water cycle and, as development occurs, that impact increases. We are now better able to control the quantity of water available to us, using modern engineering methods, and we have a greater impact on the quality of water. Before the introduction of high yielding, deep level ground water pumps, for example, we did not have much impact on ground water. Now, with modern technology, we are virtually able to destroy our resources and cause damage which will take thousands of years to repair. Therefore, as technology advances, so does our need for protection and regulation. Different land uses also impact the water cycle. When a crop such as sugar cane or timber is planted, the runoff to rivers and streams will decrease and so will the rate of ground water recharge. This in turn will reduce the amount of water which is available for other uses. The development of an urban area can increase the runoff and risk of flooding. It is not possible, therefore, to manage water resources without having some influence and control over land-use practices. Land management also affects water quality. Where poor practices are followed, topsoil is washed into rivers which silts up dams and increases the turbidity of the water. These are but two examples of how to certain use of land may affect the water cycle and therefore the interest of other water users in a catchment area. Underground water needs special consideration. Because it is slow moving and invisible, it is difficult to understand and to predict. Some aquifers (underground formations in which water is stored) have low storage capacity while others have a higher capacity. The idea of the “catchment” is important. It is a natural drainage area made up of interlinking systems of streams and tributaries flowing under the influence of gravity. All naturally occurring water in a catchment can, for practical management purposes, be treated as inter-related in terms of both quantity and quality. With the use of storage facilities such as dams and reservoirs, water can be regulated and controlled in a catchment to meet different demands. In most instances surface water catchment boundaries or watersheds catchments is sometimes complicated by the need to transfer water between catchments. Different countries have different climates but all are characterised by variability and unpredictability. Droughts are followed by floods, rainfall fluctuates from year to year and from region to region. The storage of water to help balance the extremes becomes very important. The demand for water in a temperate climate with plenty of water will be different from that in a semi-arid climate. Groundwater has always played a critical role wherever man has settled. The supplementary nature of groundwater cannot be overstated, especially in arid and semi arid regions. When one considers that worldwide there is more than 20 times more water in underground reservoirs than in rivers and lakes, and that this underground water supply is less susceptible to wastes and organism contamination, only then does the importance of this water source becomes apparent. Groundwater exists in pores between sedimentary particles and fissures in solid rocks and can exist in this state almost indefinitely. Saturated, porous layers allow water to permeate into the ground to form an aquifer. It is from these areas that water is pumped to the surface. The deeper the aquifer the less water that is available as the increased pressures squeeze the pores shut. Groundwater management (see below) has become very important recently and will become more important in the future. The sustainability of our water resources have been put under the spotlight and one creative idea that has been put forward as a water storage alternative to dams and reservoirs is that of recharging aquifer resources. This artificial groundwater recharge solution has been tried successfully in various countries around the world. The major advantage of this as a storage reservoir is that large quantities of water that can be stored with low evaporation. The cost of groundwater usage, management and control is a major factor, however. It precisely is this regard that Boreline could play a vital role in this critical area of resource management. Many communities around the world use groundwater as the main source for their public water supply system, and many individuals are totally depended on groundwater for their supply. Many agricultural operations are also partly or even entirely dependent on groundwater for their water supply – especially in times of drought.The amount of groundwater in storage in each basin is dependent on the precipitation, recharge and the total extraction of all the wells. A groundwater management plan that is designed for the political, institutional, legal and technical specifics of the basin can help everyone maintain the quality and quantity of the groundwater supply. The following 7-step groundwater management program will help local groundwater managers, individuals, residents, and public water supply system operators determine how far groundwater levels will decline if a certain amount of groundwater is extracted. With this information, they will be able to make informed decisions in managing the available groundwater to assure an available supply in the future. Begin your plan now by evaluating the data that are available, even though you think you need more data. This initial evaluation will help you plan additional programs that will lead to more efficient management. Locate and identity water wells and collect groundwater level and groundwater data. The location of each water well in the area should be recorded. Collect drillers’ logs, and compile water level measurements and water-quality analyses that are available from each of the wells. Plot this information on maps and graphs for use in steps 2, 3, 4, and 5. This is the start of a monitoring program. Determine the amount of groundwater that is extracted by each well or otherwise removed from the groundwater basin. Total the amount of groundwater extracted by all wells and add whatever other water is removed from the basin (evapotranspiration, exports, consumptive use, and surface water overflow). Compare this total with the total amount of water that comes into the basin (see Step 4). The amount of water extracted can be measured by water flow or electric consumption meters, or estimated by using the estimated evapotranspiration of the crops. This is called water budget. The difference between the inflow and the outflow will result in a change in groundwater I level during the water year. If there is more inflow than outflow, groundwater levels will rise. Conversely, if there is more outflow than inflow, as there is during drought years, groundwater levels will fall. Use drillers’ log & other data and estimate specific yield. Specific yield is an estimate of the amount of water that is available from an unconfined aquifer. The specific yield can be used to calculate the amount of groundwater in storage, and the decline in groundwater level that will take place when a specified amount of groundwater is extracted by wells (see Step 4). Project future rates of extraction and estimate the rate of decline of groundwater levels – possible as in groundwater quality. Use the specific yield values obtained in Step 5 to calculate the estimated change in groundwater level that will occur when an estimated amount of groundwater is extracted. Groundwater quality data can be used to estimate the effect of such extractions on the movement of chemical constituents, either natural or man-caused. Determine whether groundwater extraction is likely to cause subsidence. If yes, prepare a subsidence monitoring program. Develop a plan for managing groundwater supplies. Such a plan may require reductions in extractions so the long-term change in storage does not cause water quantity or water quality problems. Such a management plan could include a reduction in the amount of groundwater extracted by specific wells either through a reduced rate of pumping or by restricting the length of time the pump can be turned on. Such reductions would have to be voluntary unless a groundwater management plan is formed implemented by a local agency. The following information is supplied courtesy of Franklin Electric SA (Pty) Ltd, the largest supplier of Borehole Pump Motors. Click on the thumbnail image above to view the full size version.